For those who have been asking for the whereabout of CdKah (Sodiq Oloyede), This is for you. 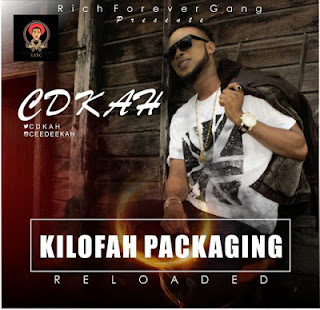 Having signed a new management deal with rich forever gang, the kilofa packaging crooner is back and better. The artiste in agreement with his new Management company(Rich forever Gang), headed by Shorunke Olabode Opeyemi, a young Music enthusiast, are Here to bring this talented Songwriter/singer to the forefront of the music scene. While work is in progress for his upcoming singles, please download and enjoy kilofa packaging by @officialCDkah feat REMINISCE. Download and enjoy free Reloadeded version!